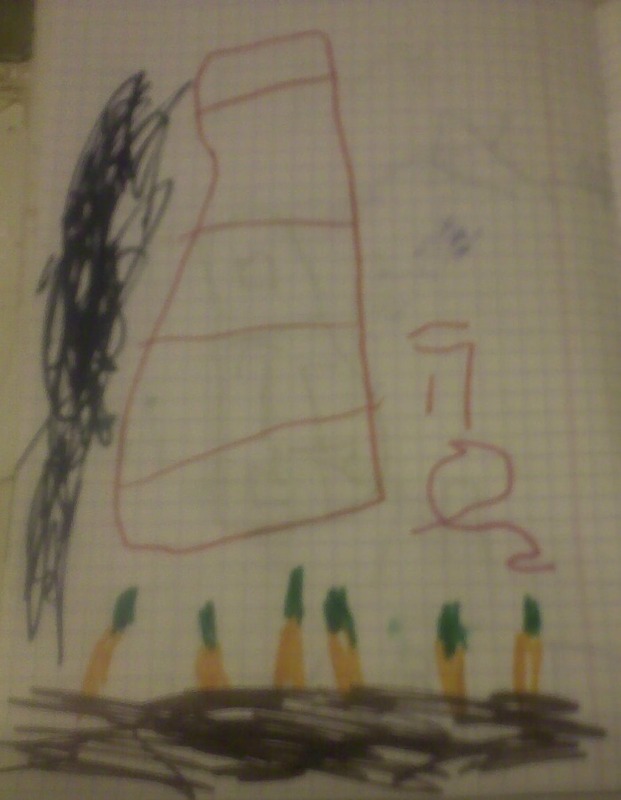 5-year old Yaakov brought me this picture he drew today. “This is the house of Hashem!” he told me. “Oh, very nice! And what are those?” pointing to the orange things on the bottom of the picture. I love it 🙂 kids in their innocence. Baruch Hashem for the innocence of kids! !